Turkey is located at a point where the three continents making up the Old World, Asia, Africa and Europe are closest to each other. Turkey is rich in art, history, religion, archeology, beauty and nature making the country a premier travel destination for culture seekers and history lovers. Turkey is situated on two continents, where Europe meets Asia, bridging the gap between East and West. The European part of the Turkey is called Thrace, while the Asian part is known as Anatolia (or Asia Minor). 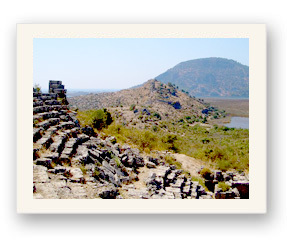 Anatolia is the heartland of civilization where mass migration of diverse peoples shaped the course of history. Twenty civilizations and 10,000 years of history have contributed to ancient secrets, ruins that have been preserved and restored for modern enthusiasts to visit and study. These lands exhale the mystery of the past through the existence of the statues of gods and goddesses, temples, theaters, agoras, churches, mosques and palaces. The Turkish peninsula is bathed by four seas: the Mediterranean to the south, the Aegean to the west, the Sea of Marmara between the European and Asian land masses, and the Black Sea to the north. The entire Turkish coastline spans more than 8,000 kilometers (approximately 5,000 miles) in length. Along the Mediterranean, there are beautiful beaches unlike those found in the West; “The Turkish Riviera” is where tourists can enjoy Turkish hospitality, cuisine and culture. Byzantine civilization was established in the third century when the ancient Roman Empire split between east and west. Constantinople became the seat of the Eastern Roman Empire, or “Byzantium,” and soon surpassed Rome in both intrigue and power . It has been said that Charlemagne, just as other Western sovereigns, copied much from Byzantium. Byzantium was primarily a naval power that dominated the Aegean and the Black Seas. The unrelenting “Greek Fire” could hold its own against all in-coming attacks. State factories and fisheries guaranteed employment within the Byzantine walls and workers of Constantinople regularly ate caviar. Under the influence of Greek Culture, Byzantium sheltered a multinational community of the most diverse ethnic origins. Imperial brides could be from bordering provinces. Byzantine culture was highly educated and refined. There was a provision for church schools, state universities, academies of law and for female education. Byzantine historians were the finest between Ancient Rome and modern Europe. Byzantine art and architecture was incomparable to styles developed before or for centuries after. While Byzantium remained civilized, many of the Western countries struggled in terms of formal culture and remained in the Dark Ages. On September 20, 622 an obscure Arab merchant named Muhammad reached safety in the city of Medina. He had been driven from his native Mecca by the city’s elite, who felt threatened by his claims of having received messages from God through the archangel Gabriel. Islam, translated as “submission”, was a universal religion from the start. Although, it has always clung to Arabic as the sacred language of the Koran, it appeals to all nations, classes and to women and men equally. One of the most basic teachings is that all Muslims are brothers and sisters. In his lifetime, Muhammad denounced the economic privileges of the ruling elite and he denounced the subordination of women. Muhammad’s call for social, economic and political equality threatened the foundation of traditional society of his day. His insistence on the rights of the oppressed and of women, the duty of charity and compassion meant liberation for the masses. Muhammad bespoke a revolutionary creed: soldiers were equals of their generals, subjects of their rulers, wives of their husbands. “Better justice without religion than the tyranny of a devout ruler”. The Turks originated in Central Asia after being displaced in the 8th century. The first Turks appeared in eastern Anatolia during the 11c. with the Seljuk Turks and then the Ottoman Turks in the late 13c. The Ottomans tolerated a large measure of religious and cultural autonomy within the states that they ruled. The rise of the Ottomans started circa 1300. Osman I extended the frontiers of Ottoman settlement towards the edge of the Byzantine Empire. In this period, a formal Ottoman government was created whose institutions would change drastically over the life of the empire. The government used the legal entity known as the millet, under which religious and ethnic minorities were able to manage their own affairs with substantial independence from central control. In May of 1453, Mehmed I emerged as the sultan and restored Ottoman power. His grandson, Mehmed the Conqueror, reorganized the state and the military, and demonstrated his martial prowess by capturing Constantinople at the age of 21. The city became the new capital of the Ottoman Empire. The Ottoman conquest of Constantinople in 1453 cemented the status of the Empire as the preeminent power in southeastern Europe and the eastern Mediterranean. During this time, the Ottoman Empire entered a long period of conquest and expansion, extending its borders deep into Europe and North Africa. The Ottoman Empire had filled roughly the territories around the Mediterranean Sea and Black Sea while adopting the traditions, art and institutions of cultures in these regions and adding new dimensions to them. Many different cultures lived under the umbrella of the Ottoman Empire, and as a result, a specifically “Ottoman” culture can be difficult to define, except for those of the regional centers and capital. However, there was also, to a great extent, a specific melding of cultures that can be said to have reached its highest levels among the Ottoman elite, who were composed of myriad ethnic and religious groups. This multicultural perspective of “millets” was reflected in the Ottoman State’s multi-cultural and multi-religious policies. As the Ottomans moved further west, the Ottoman leaders absorbed some of the culture of the conquered regions. Intercultural marriages also played their part in creating the characteristic Ottoman elite culture. When compared to the Turkish folk culture, the influence of these new cultures in creating the culture of the Ottoman elite was very apparent.